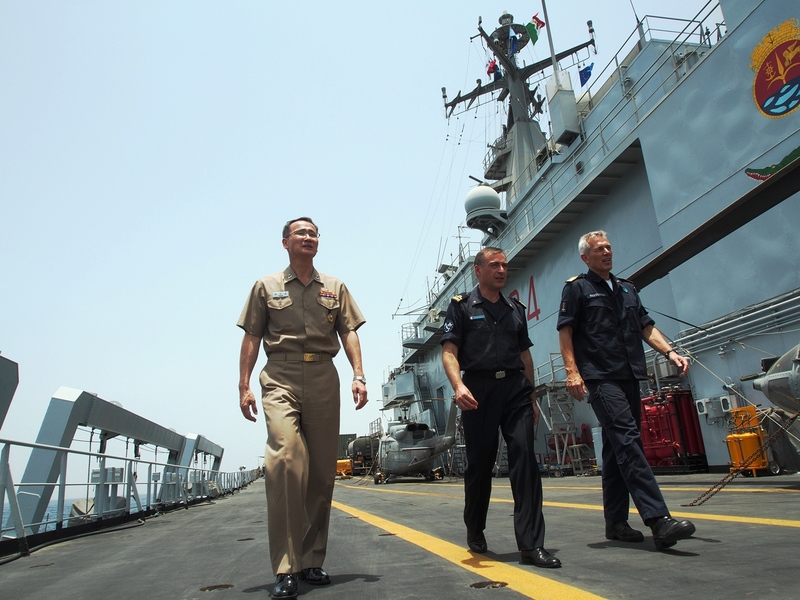 Combined Task Force 151 (CTF 151), NATO and European Union Naval Force Somalia – Operation Atalanta (the big three) call upon the shipping industry to continue to take anti-piracy measures despite the current downward trend in piracy events. Commodore Simon Ancona, Deputy Commander of Combined Maritime Forces said “The downward trend in successful pirate attacks is most welcome but there are still too many. Military forces cannot hope to be everywhere, and it is only in partnership with responsible commercial shipping that we can foil the hijackers. Merchant ships must continue to take appropriate measures onboard their ships to deter acts of piracy”. The booklet Best Management Practices version 4 (BMP4) provides useful updates for masters in implementing protection measures to deter piracy. It is based on lessons learned from ships’ masters and can be downloaded from the NATO Shipping Centre and EUNAV/Maritime Security Centre – Horn of Africa websites (www.shipping.nato.int and http://www.mschoa.org) where you can find information about the latest pirate attacks and where they occurred. Working together the military and the maritime industry is having a positive effect in frustrating the efforts of pirates. Despite the recent encouraging news, now is not the time to lessen the efforts of all stakeholders in this area.